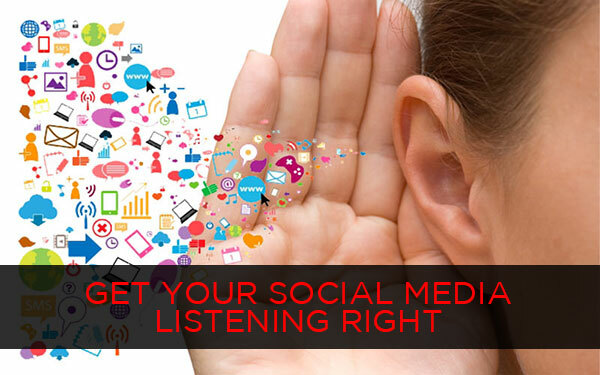 Social media listening, also known as social monitoring is not only an everyday task these days, it's a 24/7 job. The process of identifying and analyzing what is being said about your brand, your product, your service (or you, for that matter) on the internet is crucial for any social media effort. There are hundreds of tools out there for this – some simple, free, and some complicated and detailed. Either way, you need to monitor what's being said out there. So, why is it important? And how do you get it right? Listen. Analyse. Respond. Build on what you hear. And generate interesting engagement driven content around that. That's how you can improve your social media engagement, and get better ROI on your efforts. And, it's not rocketsurgery. Listening and monitoring what is being said about your brand or your products is not just relevant for social media. It is important for every aspect of marketing. Social media has now opened up the channel of communications back to the brand, whereas, earlier, it was just one way communication via advertising. Today, markets need to come across as social by engaging with their audience and responding to concerns. Social listening is the way to go about it. There are some compelling reasons why brands should make listening a top priority.